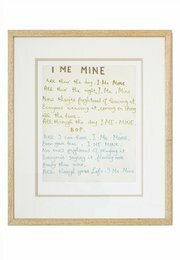 As a new, worldwide exclusive, Genesis subscribers can now own a piece of Beatles’ history: a facsimile of George Harrison’s handwritten song lyrics for ‘I Me Mine’. The song appeared on the A-Side of the multiplatinum Let It Be in 1970, and 10 years later it became the title of George Harrison’s autobiography, published by Genesis Publications. Now, it is being reproduced in facsimile for the first time, with the kind permission of the Harrison Estate. 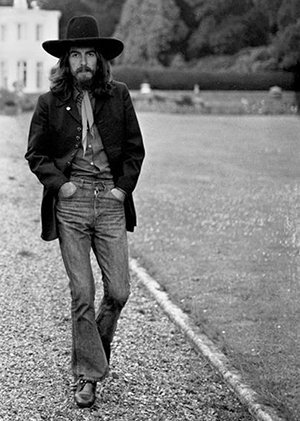 The lyric complements this year’s publication of I ME MINE – The Extended Edition and the photographic print George in the gardens of Cliveden House. To find out more about the Limited Edition Lyric Print, click here.